Africa is usually the first place that springs to mind when you think of going on safari. But you don’t need to travel all that way anymore – you can now go on safari in Nijmegen too! 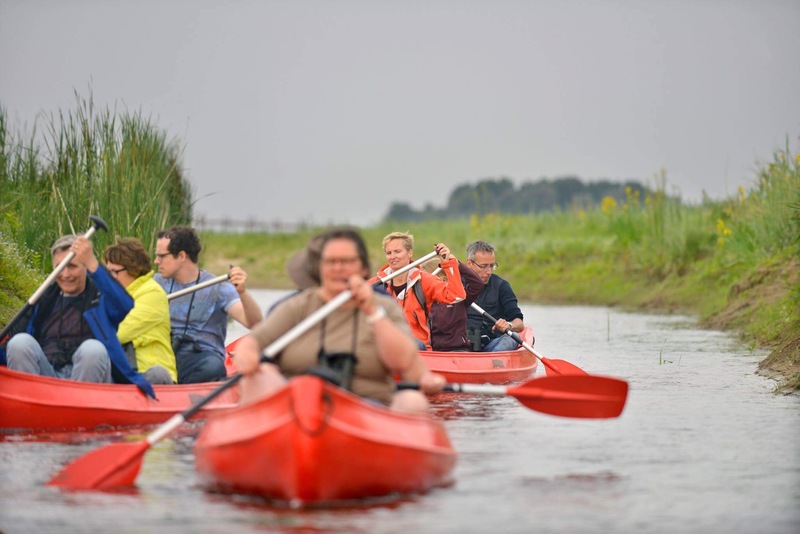 Go on a trip organised by nature management organisation Staatsbosbeheer and you might just spot the Dutch big five – red deer, roe deer, seals, wild boars and Eurasian beavers. You’ve got a particularly good chance of spotting the beavers in the Millingerwaard, a beautiful natural area 15 kilometres away from Nijmegen. 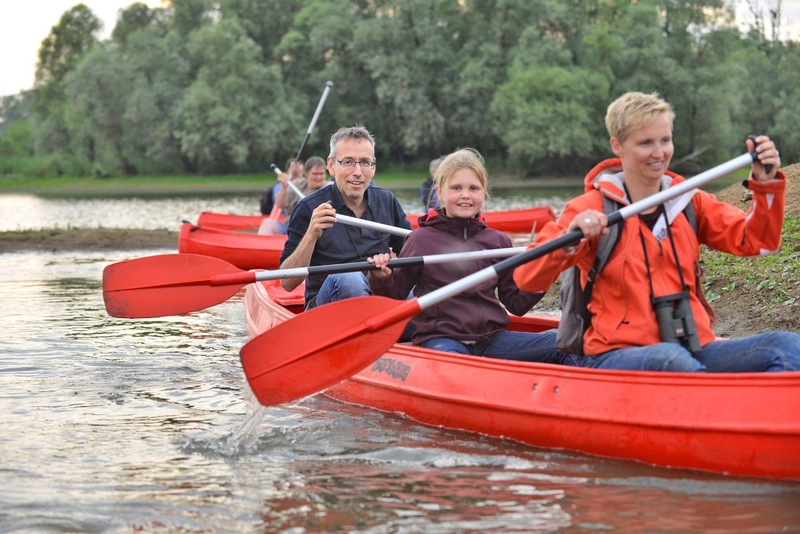 One Saturday evening, I took part in Staatsbosbeheer’s beaver safari. The evening started at the car park in Kekerdom, where I and 17 other people (including a few children) were welcomed by our guide, park ranger Thijmen van Heerde. Thijmen told us all about how the Millingerwaard used to be an agricultural area twenty years ago, but today is a natural area the size of 450 football pitches. Clay extraction in the area has created pools and dunes which, together with the forests, form the perfect biotope for beavers, who live on wood. As we started our safari, we noticed beaver tracks to the left and right of a higher path. Or as Thijmen called them: beaver slides. These slides help the unwieldy animals get from one pool to another. When we reached the heart of the nature reserve, several three-man canoes were waiting for us. We piled in and the park ranger took us to various remote corners of the water, where beavers have built their dams. As Thijmen explained, these dams are impressive constructions with several bedrooms and a drying room where the beavers shake themselves dry. The opening to the dam is under water so that no other animals disturb the beaver. As dusk closed in around us, everyone automatically lowered their voice to a whisper, so as not to scare away the beavers. And then we waited for the evening’s main attraction, almost meditating in the silence, punctuated only by birds tweeting. All of a sudden, someone spotted a beaver and everyone grabbed their binoculars or camera. The beaver swam to the bank for a dinner of low-hanging branches. Sometimes beavers actually chew through whole trees, but this one obviously wasn’t planning on doing that today. We stared in fascination for about ten minutes, until the beaver swam away. Show’s over. But we were all happy – we spotted one of the big five! We rowed back and got to the car park by 10pm. Thijmen invited us to take part in a snorkelling excursion next time, because you can do that in the Millingerwaard too! And it promises to be a unique experience. 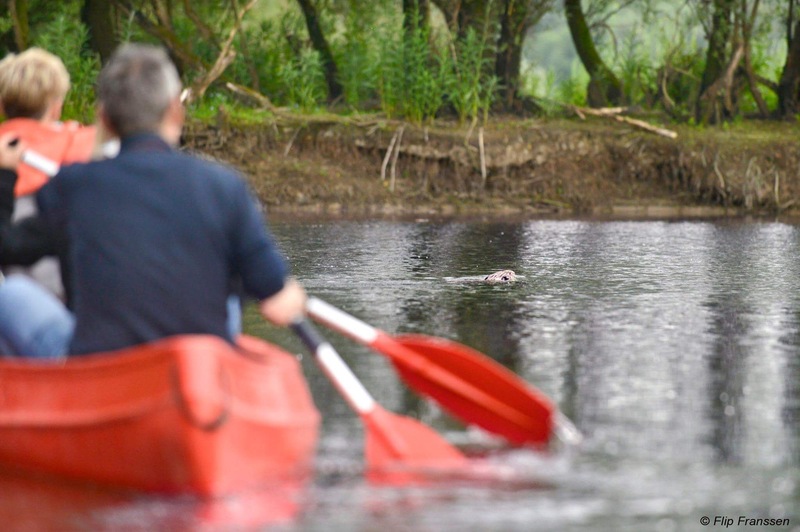 If you fancy spotting beavers, don’t miss the upcoming safaris. The next dates are 17 June, 1 July, 15 July, 29 July and 12 August. They are all on a Saturday and the safari takes place from 6pm to 10pm. The costs are €30.